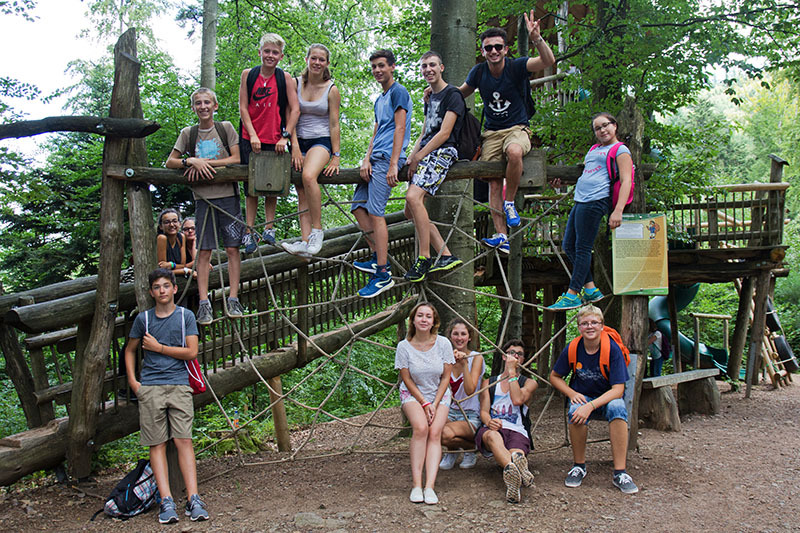 Our partner school in Freiburg, Akademie Zeitgeist Juniors, offers German language camps for juniors aged 10-17 during the summer. The programme includes German classes, activities, meals, and accommodation (either in a host family or a residence). The main school building is located in the center of Freiburg. The international atmosphere, highly motivated teachers and the beautiful city of Freiburg will surely make your stay unforgettable! Sports: swimming, volleyball, soccer, climbing, etc. Visitis to amusement parks, concerts, the zoo, etc. Lessons: 20 lessons per week from Monday to Friday (9:00-12:30)* schedule subject to changes. Transfer: not included: see for prices under the price table. Students can arrive at different airports (costs vary): Basel, Zurich or Frankfurt. Minimum age is 10 years . Students need to be at least 14 years old to stay with a host family. Due to the dates, it may be necessary to change residence during the stay. Staying in a German host family offers you even more opportunities to practice the language. You will stay in a single room with full board (breakfast and dinner in the family + lunch package). Families live about 25-30 minutes approx. in public transport of the school. Double rooms (shared with another student) are available on request. Students will stay at a Residence (Youth Hostel) located about 30 minutes by public transport from the school. The supervisors are also housed in the same residence and will accompany the students to and from school. The accommodation is based on full board (breakfast and dinner in residence + a daily lunch package). You will stay in a shared room with capacity for 4 students. The residence has common areas, sports courts and WIFI Internet.